I heard Dad say it often. “I love to work!” He seldom camped on a single profession. Some dubbed him “scattered, shot-gun-like, a jack of all trades.” Reality—he was skillfully gifted in a variety of arenas. 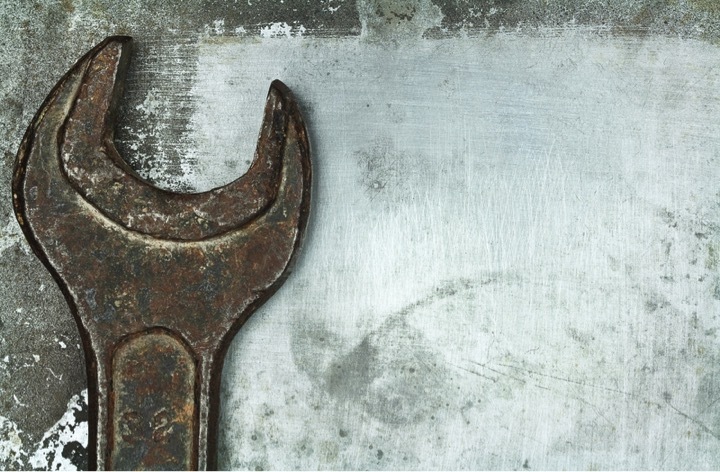 His sundry mix of roles included commercial coach bus driver, car salesperson, pastor-teacher, camp director, entrepreneurial auto repairman, truck driver, and avid church ministry volunteer. Ironically, many of my best father-son memories involve working with Dad. I usually grumbled under my breath and held such labor in low regard. Little did I know that these sweaty experiences would supply formative personal building blocks for my own outlook on work’s significance. I mowed grass for the first time when I was seven. Dad walked immediately behind me, his hands giving the push right next to mine. My chin barely touched the lawnmower’s top bar; toes were mere centimeters from the blade. (I’m fairly certain there is a statute of limitation on child endangerment.) I was thrilled at such a big opportunity, failing to fathom the agonizing years of mowing yet to come. Dad owned a ’61 GMC pickup. The summer I was twelve, we worked tediously at replacing the motor and refinishing the body. I assisted by handing Dad grimy tools, crawling in and out from under the truck, holding greasy parts in place, sanding fenders, guzzling iced tea, and pretending to help Dad solve what seemed like endless setbacks. I was big stuff. Saturday mornings during high school, I would drag my lazy bones out of bed to join Dad for breakfast and the big job of visitation. Our church had a bus ministry that transported children to church on Sunday mornings. In order to prime the pump, reach out to families (and hopefully boost Sunday attendance), we would visit each child’s family. Every Saturday was a new people adventure, an all-out foray into a foreign land. Houses were jungles filled with rambunctious breakfasts, blaring cartoons, and stinky furniture—plenty of drama and trauma, the likes of which I had never beheld. 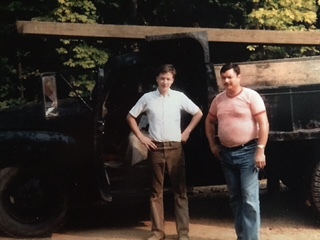 Dad also taught me how to run a chainsaw, chop logs, build a fire, bale hay, change a tire, and quickly prepare to deliver an encouraging faith talk for a ministry team. Every job has tedious, mundane tasks. Don’t gripe. Just do them; then you can ride bike, play Atari, build the tree fort, or read a book. Worst first. This is now one of my own favorite axioms, and my children groan. Set out early to conquer the least fun jobs. Then you can do the tasks you actually enjoy. Hard work can be fun. Your attitude makes all the difference. God is crazy about people. He especially loves the ones with smelly couches who yell at their kids while burning waffles on Saturday mornings. Creativity is good and God-like (Genesis 1-2). Dad repainted the GMC truck multiple times. It started out banana yellow, shifted to classic black with an orange tiger stripe, and finished as candy apple red with a metallic fleck (my personal favorite, because I was a part of that final paint job). Creativity is a joy-filled tool to be employed in virtually any job, a genuine gateway to ingenuity. When I reflect on the works accomplished by both of my Fathers, I am indeed amazed and inspired anew to follow their lead. Randy Kilgore. 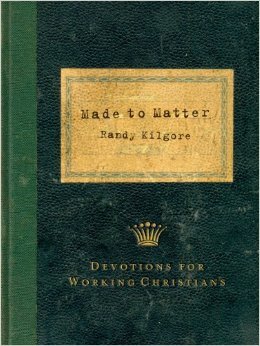 Made to Matter: Devotions for Working Christians. Grand Rapids: Discovery House, 2008, p. 130. Greg Forster. 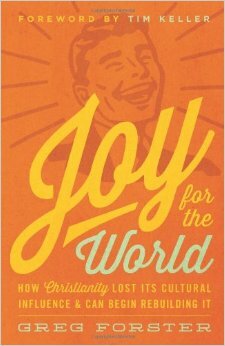 Joy for the World: How Christianity Lost Its Cultural Influence & Can Begin Rebuilding It. Wheaton: Crossway, 2014, p. 221.